If Saint Dominic would send out his brothers and sisters today with the same mission he did 800 years ago, what would they look like? 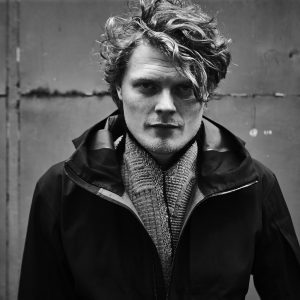 This question was asked to fashion-designer Borre Akkersdijk and his company Byborre. To them it was an encounter with a different world, with which they appeared to have values in common after all. Borre: “No was my first thought. Religion is not something ByBorre would like to be associated with. But the more research we did on the Dominicans and their habit, the more excited we got. 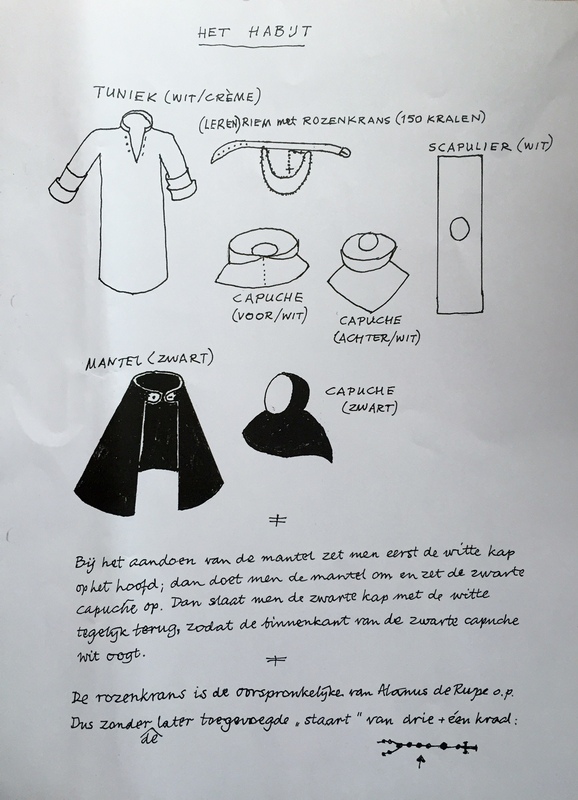 While researching and designing Borre was struck by the intention of the first friars to preach not from a horse back or in beautiful robes, but by going on foot, wearing undyed clothes, living simply among the people. This message of soberness, being both different and the same, was translated into the design of the new habit. He designed a set of twelve pieces, which could be worn by both man and women, in different cultures. He chose elements which can be recognized in various cultures, since dominicans work all over the world. Borre chose fabrics which are practical in The Netherlands – warm and water resistant – but the designs can also be made in lighter fabrics for warmer climates. He chose colors which were available when he visited the supplier. The design has many pockets and is easy to adjust. 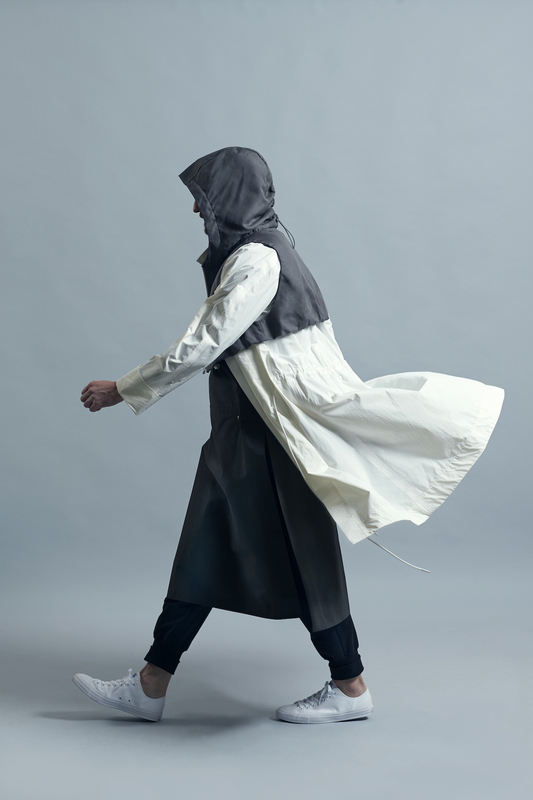 The hooded gilet can be used as a shelter for rain, but which can also be adjusted to serve as a space for contemplation and prayer. Borre would like to see pieces of the collection being worn by people who are not dominicans, but share their values. The white habit and black cloak are of iconic value to the dominicans. The clothes are even described in detail in the Constitutions of the Order. Hopefully ‘the New Habit’ will evoke conversations about what dominican sisters and friars carry out and embody. Because of the celebration of 800 years Order of Preachers, the dominican family in the Netherlands organized a year of various meetings with ‘benevolent strangers’, people they usually do not meet up with in the very secularized Dutch culture. The idea behind this is that both parties can get wiser in an honest encounter, even when they don’t agree on issues. Saint Dominic himself once talked all night long with an innkeeper, about faith and his cathar ideas. The innkeeper converted, so the story goes, and Dominic started to build his community of educated mendicant brothers and sisters – a novelty in his days. Read also: Let yourself be known – reaching out to our secular contemporaries. The unique celebration of the 800th anniversary of the Order in the Netherlands at the website of the international order. The jubilee was celebrated worldwide from 7th November 2015 until 21st January 2017. At February 2nd we will have a ‘desert’: a conversation on democracy between the well known essayist Bas Heijne and professor in theology Erik Borgman at Tilburg University.